The London borough of City of Westminster incorporates some 1,753 streets. City of Westminster at its widest point is 5.9 miles by 7.3 miles in length. It is impossible to even begin to capture everything that Westminster - the seat of Britain's government - has to offer. From stately Buckingham Palace and the Houses of Parliament to the raucous Soho nightlife, from the bustle of Oxford Street, to the rolling vistas of the Royal Parks it would take weeks to describe everything to see and do in London's heartland. It also contains some of the best shopping in London, with Covent Garden's bustling market, the boutiques of Soho and Carnaby Street, and the towering department stores around Oxford Circus. As the shops close, London's West End comes alive, with dozens of theatres and music venues, and hundreds of bars and restaurants making sure that this is a borough that never sleeps. 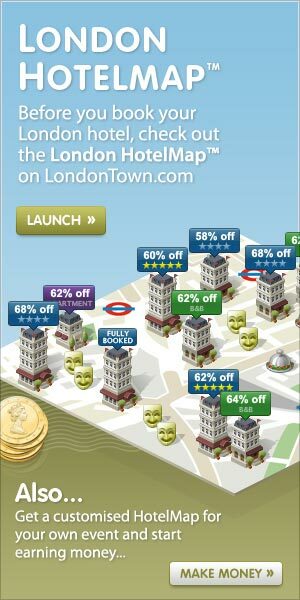 These 1,753 streets are home to over 10723 LondonTown.com featured venues, which include 4281 restaurants, 3534 shops, 606 attractions, 939 clubs and pubs and 384 leisure venues. Narrow down your search by typing the street you want to find in 'City of Westminster'. From cheap budget hotels to luxury 5 star hotels see our deals for City of Westminster hotels, including Radisson Blu Edwardian Sussex Hotel from 76% off.